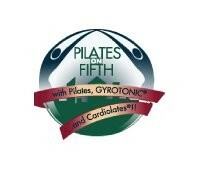 (Equipment class) Take your Pilates practice vertical. CoreAlign enables you to test your Pilates prowess while standing. The exercises and flow will give your heart rate a boost while challenge major muscle groups. The focus on posture and balance will remind you of the mind-body movements on the reformer, and the core exercises will test your strength in a totally unique way. Clients at all fitness levels will feel the difference after one session. The CoreAlign method stimulates core stability muscles to fire in perfect timing while performing challenging exercises, very deep stretches and core controlled aerobic training. The method is used for musculoskeletal rehabilitation, performance enhancement and as a regular sport for a healthy lifestyle. Didn’t break a sweat at all. Instructor was nice and explained well but I wish the workout was more challenging. Always excellent! Lenny is an amazing teacher. Only two students per instructor, great class. Lenny is a great instructor! Great funny and attentive instructor ??????? ?